By: Büm d. Tenorio, Jr.
On the first day the first ever branch of Mang Inasal opened to the public in a 200-sq.-m. space at the car park building of Robinsons in Iloilo City, the store’s grill exhaust malfunctioned. Instead of serving chicken barbecue, Injap Sia, then 26, and his 20 employees fried the chicken. The customers did not complain. It was Dec. 12, 2013, the opening day, which despite the grill exhaust that broke down, was a success. It was to become an unstoppable success for Edgar “Injap” Sia II, who was recently awarded by PeopleAsia magazine as one of its People of the Year. Mang Inasal was founded from Injap’s foresight that a fast-food barbecue business would succeed because no one else was doing it that time. 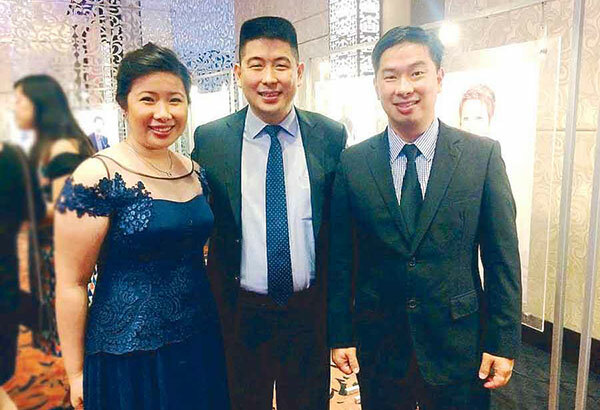 Armed with business savvy that was sharpened by his being a provinciano, he borrowed P2.4 million from his father to bankroll the barbecue business. In just eight months of Mang Inasal’s operation, Injap was able to return his personal loan from his father, paying him with a car that amounted to the capital he borrowed from him. His second branch of Mang Inasal opened in 2004 at the supermarket building of his parents in Roxas. Since then, the country’s first barbecue fast-food store has mushroomed all over the country to reach 338 branches. In 2010, when Mang Inasal reached its maturity, Jollibee Foods Corp. acquired 70 percent of Mang Inasal for P3 billion. Injap sold the remaining 30 percent of Mang Inasal to Jollibee in early 2016 for P2 billion. 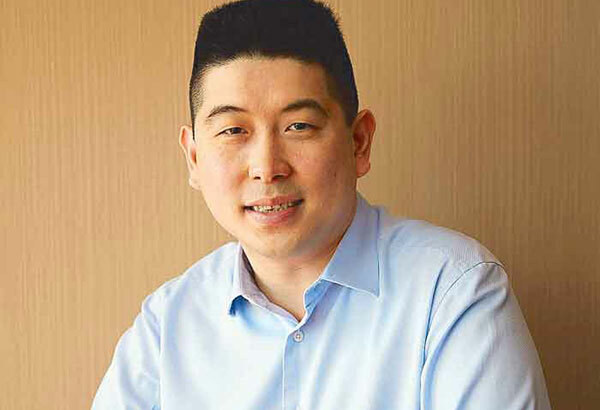 In 2012, two years after Jollibee’s first acquisition of Mang Inasal, Injap and his siblings with Tony Tan Caktiong and his siblings embarked on another partnership capitalizing on the growth potential of the property business sector in the Philippines. DoubleDragon Properties Corp. was born with a clear vision of accumulating a total of one million square meters of leasable space by year 2020. DoubleDragon, named such because both Injap and Tony Tan Caktiong are born under the Dragon sign, now has 10 CityMalls and is projected to grow to 100 community malls in 2020 all over the country. DoubleDragon’s other major subsidiaries are DD Meridian Park Development Corp. and Hotel of Asia Inc. (Hotel 101 and Jin Jiang hotels). Today, DoubleDragon is one of the actively traded listed property companies in the Philippine Stock Exchange with a market capitalization of over P100 billion ($2 billion). Injap — the promdi who was born in Iloilo, raised in Roxas City and educated in Iloilo, though he dropped out from pursuing Architecture at the University of San Agustin — was 33 when he tasted his first billions. At 39, he landed as No. 17 and the youngest in the Forbes Magazine’s list of 50 Richest Filipinos with a net worth of P58 billion. Now that he is 40, Injap continues to dream and sit in his favorite corner in his Makati home to overanalyze, his favorite pastime. Injap has a gift of persuasion. When he was conceptualizing Mang Inasal, his Filipino-Chinese father, Edgar Sr., almost convinced Injap to change the name of the business to “Mng Inasl” so the business name would compose of only eight letters and not 10 “because Jollibee and Chow King have eight letters and eight is lucky in feng shui.” Injap almost gave in to his father’s suggestion until he countered that “Banco de Oro” had 10 letters and it was doing well. He persuaded his father to lend him the capital. Perhaps it was the same brand of persuasion that Injap used when he talked to the parents of his three classmates in 1997 to invest in a small hotel they were putting up in Iloilo called People’s Hotel. The hotel still exists, a witness to his grit as a budding businessman. In those days, he also put up a Fuji photo shop where he himself was the one who worked in the dark room to process the pictures. “After I sold the first 70 percent of Mang Inasal, I invested in a few industries where I want to learn. Like PBCom, I have been in its board for 2 1/2 years. I’m curious of what happens in the banking system. I am also in the board of Maxicare, one of the largest HMOs. In fast-food, I work with the group of Jollibee. Those are the three different worlds where I want to learn,” he says. “Familiarity builds up your confidence. And it gives you a lot of advantages as you go forward,” adds Injap, whose sobriquet is derived from the fact that his father Edgar Sr. is part Intsik (Chinese) and his mother Paz is part Japanese. “Injap, that’s Intsik-Japanese,” he says. Now, Injap Investments Inc. is the name of his holding company. Injap’s life illustrates that success is not selfish. Long before he sold Mang Inasal to Jollibee, he incorporated the business and gave 30 percent share to his brother Ferdinand and 15 percent to his sister Mariz. “Our parents taught us to love each other,” he says. Mariz, Injap and Ferdinand Sia. Injap’s parents Edgar Sr. and Paz Sia. His life affirms that success is knowing how to stick it out with the people who were there for him when he was starting. 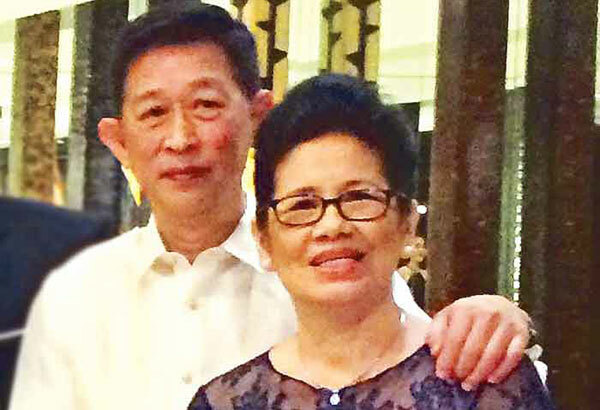 He made sure to make a difference in the life of his driver, Judy Yadao. He came from a car rental company in the domestic airport and was the one who drove for Injap when he started exploring putting up Mang Inasal in Metro Manila. He became his constant driver every time the promdi Injap would be in Manila. When he settled in the city six years ago, he made Judy his personal driver. His faith is unshaken. “I cannot explain it but it’s so clear to me that there’s an intervention (of God in my success in the business). I am just used as an instrument to that specific mission to create responsible businesses that uplift the lives of many. All the time, everything I do, major or minor, is aligned to creating responsible businesses that will last very long,” says Injap, who now employs 30,000 provincianos like him. “I am a very proud provinciano. What will be a difficult endeavor for a non-promdi is I think three or five times difficult for a provinciano. I want to inspire. I want to tell people not to be afraid to go out of their comfort zone. Most of their fears are just totally unfounded. It’s not difficult,” Injap concludes.